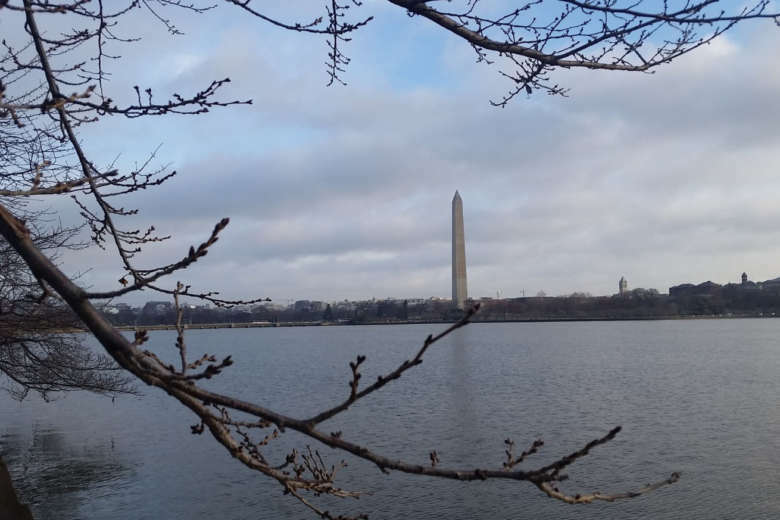 WASHINGTON — The record-setting weather in the D.C. area continued on Wednesday, with both Dulles International and Reagan National airports reporting highs in the 80s. The high at BWI Marshall Airport was slightly more seasonable — 79 degrees. The unseasonably warm weather made Feb. 21 the area’s earliest 80-degree day on record. It also ties for the second-warmest February day on record. 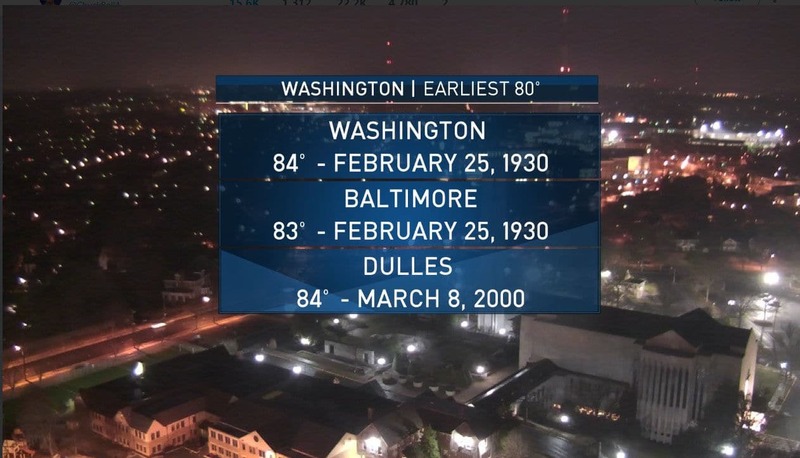 The last time February was this warm was way back in 1930. Wednesday’s high came on the heels of a record-breaking Tuesday. Two of the three local airports experienced record-high temperatures. Dulles and Reagan National Airport each broke records, while BWI Marshall tied its record of 76 degrees. But it’s not yet time to stash away the gloves and winter coats. In his forecast for Thursday, Storm Team4 meteorologist Chuck Bell said we should look out for temperatures up to 40 degrees colder. Expect showers through most of the day, with evening temperatures in the mid-to-upper 40s. Friday will be cool and overcast with periods of light rain and drizzle. Depending on where you are, temps at 11AM are between 2 and 10 degrees warmer than 24 hours ago. Widespread high 70s to low 80s are still looking likely today! Enjoy it while it lasts – tomorrow will feel like a shock to the system, even though it will actually be near normal! Below is the forecast for the next few days. Wednesday: Chance of rain after sunset. Temperatures fall into the 50s overnight. Thursday: Cloudy and cooler, with periods of light rain and drizzle. Chance of rain 80 percent. Highs in the high 40s to low 50s. Friday: Showers early, drying in the afternoon and evening; cloudy, cool and damp. Highs around 50.